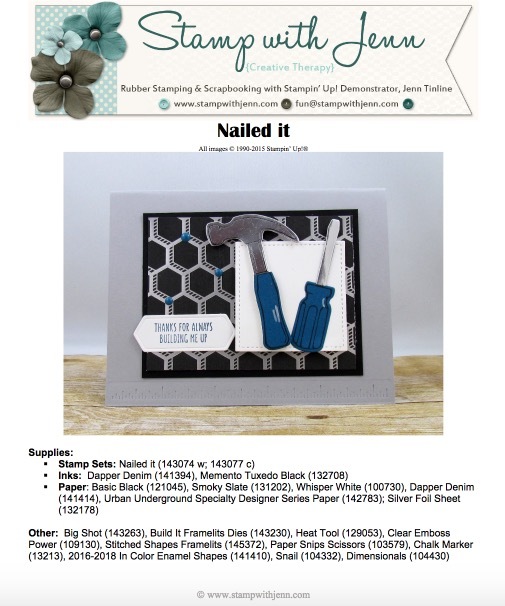 Nailed It is a new stamp that will be the Stampin’ Up! Occasions Catalogue (to get your copy of the Occasions Catalogue click here) that comes out in January 2017. When I saw this stamp set I had to have it! It is all tools and “manly” things and with a husband who is a handyman, I knew I’d get lots of use out of it. 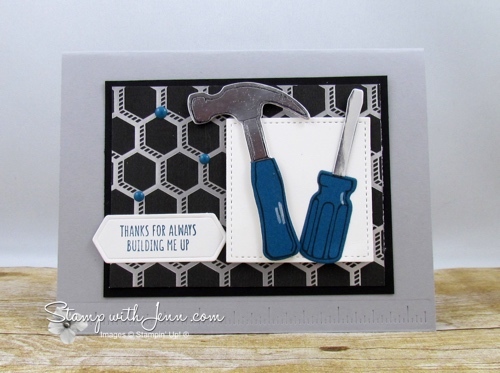 Plus it has all sorts of fun sayings that match the tools, like this one “Thanks for Always Building Me Up”. Get a list of the measurements and supplies for this card HERE. You can get Project Guides like this every month. Check out details here.